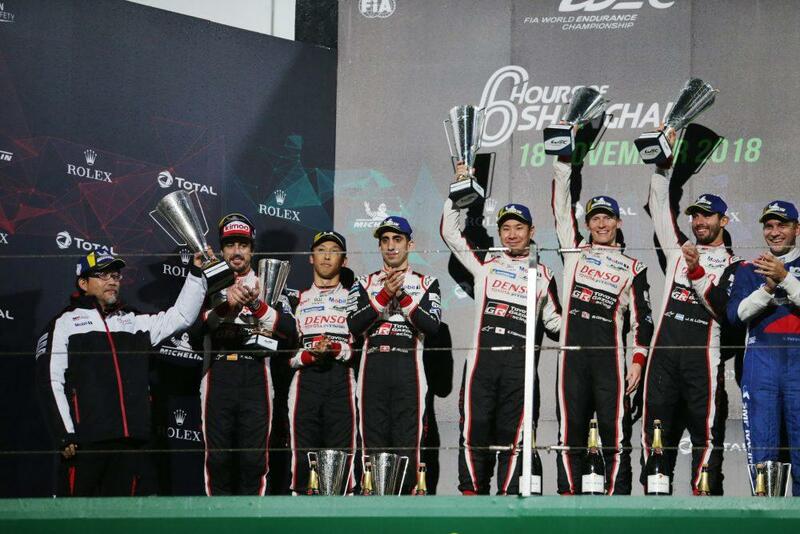 Their team-mates Sébastien Buemi, Kazuki Nakajima and Fernando Alonso held on to top spot in the table thanks to a second place finish, while Toyota Gazoo Racing heads the teams’ standing by 28 points. The one-two result capped an excellent weekend for Toyota in international motorsport, with Toyota Gazoo Racing Team having clinched the FIA World Rally Championship with victory on Rally Australia. As with the rally, difficult weather conditions made it a challenging race. 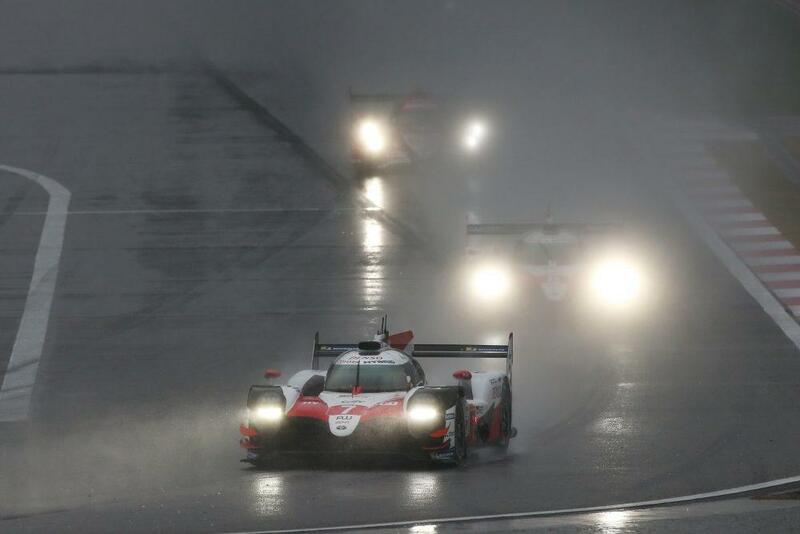 Heavy morning rain led to treacherous track conditions and a controlled start behind the safety car, with the No7 and No8 Toyotas leading the field from the front of the grid. Nonetheless, an accident caused an early race stoppage and it was 70 minutes before a short green flag period allowed racing to start in earnest. During this time, Buemi was able to claim the lead when López ran slightly wide. The race was punctuated by further stoppages and safety car periods, during which time both Toyotas fell towards the back of the field when making scheduled pit stops. When the running order stabilised around half distance, Alonso held second with Kobayashi, delayed due to time lost in a congested pit lane, fourth. Alonso battled past GT cars to overtake the No1 Rebellion for the lead, while Kobayashi was similarly spectacular in passing Jenson Button’s No11 SMP for second. Track conditions slowly improved and the Toyotas stretched their advantage at the front. The final driver change with around 70 minutes remaining saw Conway take over the leading No7 car with Nakajima in the No8 pushing hard to close the gap, setting the fastest lap of the race in the process. The weather took a turn for the worse in the final 30 minutes, but despite another safety car closing up the field, Conway held on to win by 1.419 seconds.